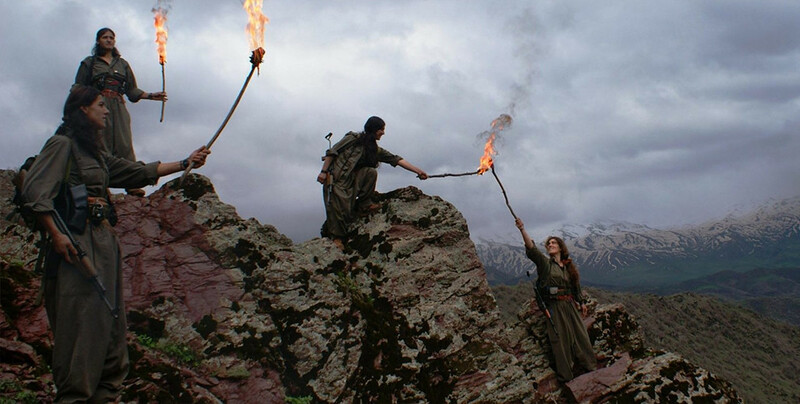 TJK-E called on the Kurdish people to contribute to be the voice of the hunger strikers and raise the resistance. Women from Raqqa have established food cooperative al-Fardos to provide food to those in need. DBP Silvan District co-chair Amine Gündüz was arrested and sent to Diyarbakır E-type Prison. Teacher Ayşe Çelik finally jailed for saying “Don't let children die”. She has been condemned to 15 months in prison. The Popular Front for the Liberation of Palestine prominent member went to see Leyla Güven at her home in Amed. Erol Aydemir is a Kurdish activist who joined the hunger strike resistance led by HDP Hakkari deputy Leyla Guven demanding the end of isolation against Abdullah Öcalan. Statements and declarations of solidarity with the hunger strike of HDP Hakkari MP Leyla Guven demanding the end of the isolation of Kurdish people’s leader Abdullah Ocalan continues to arrive from all over the world. More than 20,000 disclosures of domestic violence against women and children were made to Ireland Women's Aid in 2018. Yazidi women from Afrin said the current process necessitates the trial of ISIS gangs in Northern and Eastern Syria, and added that the sleeper cells will end when ISIS gangs are put on trial. One of 11 women detained in Amed on 20 March and ordered to wear electronic handcuffs, HDP Sur Co-Chair Sevim Coşkun said this is yet another way in which the state tries to prevent women struggle. The situation of the political prisoners Kibriye Evren, Hilal Ölmez and Evin Kaya on hunger strike is deteriorating rapidly. Journalist Evren is now suffering from vomiting blood. 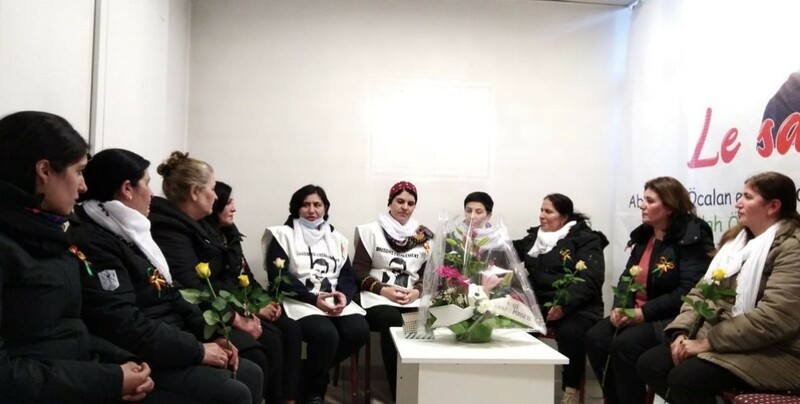 Members of the Peace Mothers Council protested the silence in the face of the ongoing indefinite nonalternating hunger strikes demanding an end to the isolation and called on “everybody with a conscience” to take action. Men killed at least 22 women and two children in March. Two men, who were with the murdered women, were also killed. 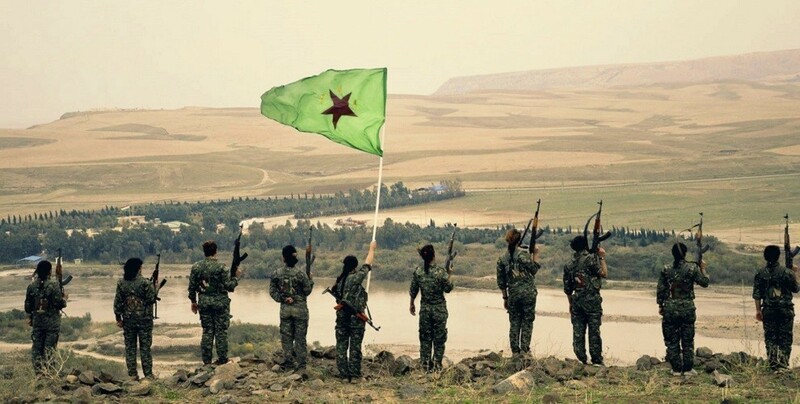 PYD Co-chair Hiso: We will liberate Afrin! The 7000 banners action promoted by women in Switzerland to support the hunger strike against isolation has begun. A protest was held in Stockholm against violence against women in Iran. Protesters also commended the hunger strikers all over the world. Sinn Féin MLA Michaela Boyle has said a new app that will allow those in abusive relationships to track and record incidents in a private and secure environment will help victims find a voice. HDP deputies Semra Güzel and Tülay Hatimoğulları visited DTK co-chair Leyla Güven who has been on hunger strike or 146 days. “Today when the hunger strike has reached a critical level, support actions are crucial and must be organised everywhere. It is important to embrace this resistance which will surely win." Kurdish women organised actions against isolation in Paris, Rennes and Hannover. A total of 1.532 cases of violence against women were recorded in South Kurdistan in January and February.